A complete guide to all 2014 convertible cars and SUVs offering the best in today's top-down choices for open-air driving fun. Here is a list of convertibles with your requested features: Model Year: 2014 Models; use the selections at the left to change the convertible cars displayed. The 2014 Audi A5 Cabriolet is a softtop convertible with 2 passenger doors and seating a maximum of 4 people, with a price starting at $44,500. 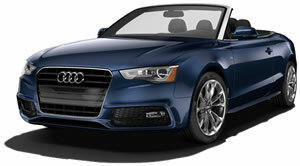 Running on Premium, the A5 Cabriolet gets 24 MPG City, 32 Highway MPG, for a combined 27 MPG. The 2014 Audi R8 Spyder is a softtop roadster, a convertible with 2 passenger doors and seating a maximum of 2 people, with a price starting at $128,400. Running on Premium, the R8 Spyder gets 11 MPG City, 20 Highway MPG, for a combined 14 MPG. The 2014 Audi RS 5 Cabriolet is a softtop convertible with 2 passenger doors and seating a maximum of 4 people, with a price starting at $77,900. Running on Premium, the RS 5 Cabriolet gets 16 MPG City, 22 Highway MPG, for a combined 18 MPG. The 2014 Audi S5 Cabriolet is a softtop convertible with 2 passenger doors and seating a maximum of 4 people, with a price starting at $60,400. Running on Premium, the S5 Cabriolet gets 18 MPG City, 26 Highway MPG, for a combined 21 MPG. The 2014 Audi TT Roadster is a softtop roadster, a convertible with 2 passenger doors and seating a maximum of 2 people, with a price starting at $42,900. Running on Premium, the TT Roadster gets 22 MPG City, 31 Highway MPG, for a combined 26 MPG. The 2014 Audi TTS Roadster is a softtop roadster, a convertible with 2 passenger doors and seating a maximum of 2 people, with a price starting at $51,700. Running on Premium, the TTS Roadster gets 22 MPG City, 31 Highway MPG, for a combined 26 MPG. The 2014 BMW 428i 4 Series Convertible is a hardtop convertible with 2 passenger doors and seating a maximum of 4 people, with a price starting at $48,750. Running on Premium, the 428i 4 Series Convertible gets 23 MPG City, 34 Highway MPG, for a combined 27 MPG. The 2014 BMW 428i xDrive 4 Series Convertible is a hardtop convertible with 2 passenger doors and seating a maximum of 4 people, with a price starting at $50,750. Running on Premium, the 428i xDrive 4 Series Convertible gets 23 MPG City, 34 Highway MPG, for a combined 27 MPG. The 2014 BMW 435i 4 Series Convertible is a hardtop convertible with 2 passenger doors and seating a maximum of 4 people, with a price starting at $54,900. Running on Premium, the 435i 4 Series Convertible gets 20 MPG City, 30 Highway MPG, for a combined 24 MPG. The 2014 BMW 640i 6 Series Convertible is a softtop convertible with 2 passenger doors and seating a maximum of 4 people, with a price starting at $82,900. Running on Premium, the 640i 6 Series Convertible gets 20 MPG City, 30 Highway MPG, for a combined 24 MPG. The 2014 BMW 640i xDrive 6 Series Convertible is a softtop convertible with 2 passenger doors and seating a maximum of 4 people, with a price starting at $85,900. Running on Premium, the 640i xDrive 6 Series Convertible gets 20 MPG City, 29 Highway MPG, for a combined 23 MPG. The 2014 BMW 650i 6 Series Convertible is a softtop convertible with 2 passenger doors and seating a maximum of 4 people, with a price starting at $94,200. Running on Premium, the 650i 6 Series Convertible gets 17 MPG City, 25 Highway MPG, for a combined 20 MPG. The 2014 BMW 650i xDrive 6 Series Convertible is a softtop convertible with 2 passenger doors and seating a maximum of 4 people, with a price starting at $97,200. Running on Premium, the 650i xDrive 6 Series Convertible gets 16 MPG City, 24 Highway MPG, for a combined 19 MPG. The 2014 BMW M6 Convertible is a softtop convertible with 2 passenger doors and seating a maximum of 4 people, with a price starting at $117,500. Running on Premium, the M6 Convertible gets 15 MPG City, 22 Highway MPG, for a combined 17 MPG. The 2014 BMW Z4 sDrive28i is a hardtop roadster, a convertible with 2 passenger doors and seating a maximum of 2 people, with a price starting at $48,950. Running on Premium, the Z4 sDrive28i gets 22 MPG City, 33 Highway MPG, for a combined 26 MPG. The 2014 BMW Z4 sDrive35i is a hardtop roadster, a convertible with 2 passenger doors and seating a maximum of 2 people, with a price starting at $56,950. Running on Premium, the Z4 sDrive35i gets 19 MPG City, 26 Highway MPG, for a combined 21 MPG. The 2014 BMW Z4 sDrive35is is a hardtop roadster, a convertible with 2 passenger doors and seating a maximum of 2 people, with a price starting at $65,800. Running on Premium, the Z4 sDrive35is gets 17 MPG City, 24 Highway MPG, for a combined 20 MPG. The 2014 Chevrolet Camaro Convertible is a softtop convertible with 2 passenger doors and seating a maximum of 4 people, with a price starting at $31,055. Running on Regular, the Camaro Convertible gets 19 MPG City, 30 Highway MPG, for a combined 22 MPG. The 2014 Chevrolet Camaro SS Convertible is a softtop convertible with 2 passenger doors and seating a maximum of 4 people, with a price starting at $40,350. 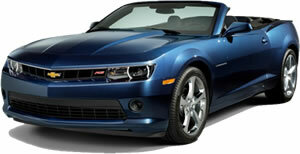 Running on Regular, the Camaro SS Convertible gets 15 MPG City, 24 Highway MPG, for a combined 18 MPG. The 2014 Chevrolet Camaro ZL1 Convertible is a softtop convertible with 2 passenger doors and seating a maximum of 4 people, with a price starting at $60,550. Running on Premium, the Camaro ZL1 Convertible gets 13 MPG City, 19 Highway MPG, for a combined 15 MPG. The 2014 Chevrolet Corvette Stingray is a targa top roadster, a convertible with 2 passenger doors and seating a maximum of 2 people, with a price starting at $53,000. Running on Premium, the Corvette Stingray gets 17 MPG City, 29 Highway MPG, for a combined 21 MPG. The 2014 Chevrolet Corvette Stingray Convertible is a softtop roadster, a convertible with 2 passenger doors and seating a maximum of 2 people, with a price starting at $56,000. Running on Premium, the Corvette Stingray Convertible gets 17 MPG City, 29 Highway MPG, for a combined 21 MPG. The 2014 Chevrolet Corvette Stingray Z51 Convertible is a softtop roadster, a convertible with 2 passenger doors and seating a maximum of 2 people, with a price starting at $62,995. Running on Premium, the Corvette Stingray Z51 Convertible gets 17 MPG City, 29 Highway MPG, for a combined 21 MPG. 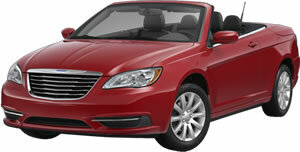 The 2014 Chrysler 200 Convertible is a hardtop convertible with 2 passenger doors and seating a maximum of 4 people, with a price starting at $34,935. Running on Regular, the 200 Convertible gets 19 MPG City, 29 Highway MPG, for a combined 22 MPG. 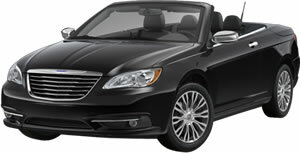 The 2014 Chrysler 200 Convertible is a softtop convertible with 2 passenger doors and seating a maximum of 4 people, with a price starting at $27,950. Running on Regular, the 200 Convertible gets 19 MPG City, 29 Highway MPG, for a combined 22 MPG. The 2014 FIAT 500c is a softtop convertible with 2 passenger doors and seating a maximum of 4 people, with a price starting at $19,700. 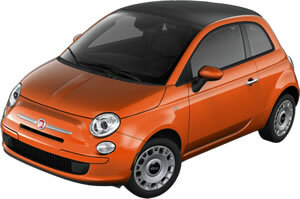 Running on Premium, the 500c gets 31 MPG City, 40 Highway MPG, for a combined 34 MPG. The 2014 Ford Mustang Convertible is a softtop convertible with 2 passenger doors and seating a maximum of 4 people, with a price starting at $27,510. Running on Regular, the Mustang Convertible gets 19 MPG City, 30 Highway MPG, for a combined 23 MPG. The 2014 Ford Mustang GT Convertible is a softtop convertible with 2 passenger doors and seating a maximum of 4 people, with a price starting at $36,210. 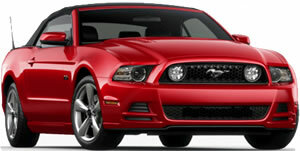 Running on Regular, the Mustang GT Convertible gets 15 MPG City, 26 Highway MPG, for a combined 19 MPG. The 2014 Ford Mustang Shelby GT500 Convertible is a softtop convertible with 2 passenger doors and seating a maximum of 4 people, with a price starting at $60,110. Running on Premium, the Mustang Shelby GT500 Convertible gets 15 MPG City, 24 Highway MPG, for a combined 18 MPG. The 2014 Infiniti Q60 is a hardtop convertible with 2 passenger doors and seating a maximum of 4 people, with a price starting at $48,450. Running on Premium, the Q60 gets 18 MPG City, 26 Highway MPG, for a combined 20 MPG. The 2014 Infiniti Q60 IPS is a hardtop convertible with 2 passenger doors and seating a maximum of 4 people, with a price starting at $62,100. Running on Premium, the Q60 IPS gets 18 MPG City, 26 Highway MPG, for a combined 20 MPG. 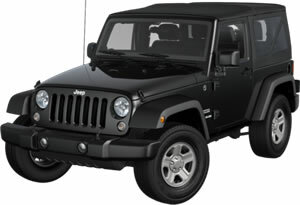 The 2014 Jeep Wrangler is a softtop SUV, a convertible with 2 passenger doors and seating a maximum of 4 people, with a price starting at $22,395. Running on Regular, the Wrangler gets 17 MPG City, 21 Highway MPG, for a combined 18 MPG. The 2014 Jeep Wrangler Unlimited is a softtop SUV, a convertible with 4 passenger doors and seating a maximum of 5 people, with a price starting at $26,195. 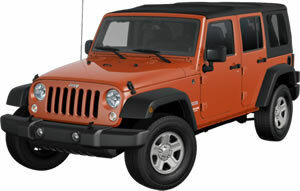 Running on Regular, the Wrangler Unlimited gets 16 MPG City, 21 Highway MPG, for a combined 18 MPG. The 2014 Lexus IS 250 C is a hardtop convertible with 2 passenger doors and seating a maximum of 4 people, with a price starting at $42,860. Running on Premium, the IS 250 C gets 21 MPG City, 30 Highway MPG, for a combined 24 MPG. 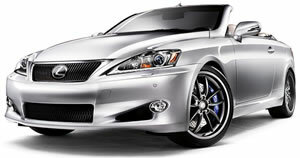 The 2014 Lexus IS 350 C is a hardtop convertible with 2 passenger doors and seating a maximum of 4 people, with a price starting at $47,140. Running on Premium, the IS 350 C gets 19 MPG City, 27 Highway MPG, for a combined 22 MPG. The 2014 Mazda MX-5 Miata is a softtop roadster, a convertible with 2 passenger doors and seating a maximum of 2 people, with a price starting at $23,720. Running on Premium, the MX-5 Miata gets 21 MPG City, 28 Highway MPG, for a combined 23 MPG. The 2014 Mazda MX-5 Miata PRHT is a hardtop roadster, a convertible with 2 passenger doors and seating a maximum of 2 people, with a price starting at $28,655. Running on Premium, the MX-5 Miata PRHT gets 21 MPG City, 28 Highway MPG, for a combined 23 MPG. The 2014 Mercedes-Benz E350 Cabriolet is a softtop convertible with 2 passenger doors and seating a maximum of 4 people, with a price starting at $60,200. Running on Premium, the E350 Cabriolet gets 20 MPG City, 28 Highway MPG, for a combined 23 MPG. The 2014 Mercedes-Benz E550 Cabriolet is a softtop convertible with 2 passenger doors and seating a maximum of 4 people, with a price starting at $67,300. Running on Premium, the E550 Cabriolet gets 17 MPG City, 26 Highway MPG, for a combined 20 MPG. The 2014 Mercedes-Benz SL550 Roadster is a hardtop roadster, a convertible with 2 passenger doors and seating a maximum of 2 people, with a price starting at $106,700. Running on Premium, the SL550 Roadster gets 18 MPG City, 25 Highway MPG, for a combined 20 MPG. The 2014 Mercedes-Benz SL63 AMG Roadster is a hardtop roadster, a convertible with 2 passenger doors and seating a maximum of 2 people, with a price starting at $147,300. Running on Premium, the SL63 AMG Roadster gets 16 MPG City, 25 Highway MPG, for a combined 19 MPG. The 2014 Mercedes-Benz SL65 AMG Roadster is a hardtop roadster, a convertible with 2 passenger doors and seating a maximum of 2 people, with a price starting at $214,500. Running on Premium, the SL65 AMG Roadster gets 14 MPG City, 21 Highway MPG, for a combined 17 MPG. The 2014 Mercedes-Benz SLK250 Roadster is a hardtop roadster, a convertible with 2 passenger doors and seating a maximum of 2 people, with a price starting at $43,525. Running on Premium, the SLK250 Roadster gets 23 MPG City, 33 Highway MPG, for a combined 26 MPG. The 2014 Mercedes-Benz SLK350 Roadster is a hardtop roadster, a convertible with 2 passenger doors and seating a maximum of 2 people, with a price starting at $56,225. Running on Premium, the SLK350 Roadster gets 21 MPG City, 29 Highway MPG, for a combined 24 MPG. The 2014 Mercedes-Benz SLK55 AMG Roadster is a hardtop roadster, a convertible with 2 passenger doors and seating a maximum of 2 people, with a price starting at $68,925. Running on Premium, the SLK55 AMG Roadster gets 19 MPG City, 28 Highway MPG, for a combined 22 MPG. The 2014 Mercedes-Benz SLS AMG GT Roadster is a hardtop roadster, a convertible with 2 passenger doors and seating a maximum of 2 people, with a price starting at $208,000. Running on Premium, the SLS AMG GT Roadster gets 13 MPG City, 19 Highway MPG, for a combined 15 MPG. The 2014 MINI Cooper Convertible is a softtop convertible with 2 passenger doors and seating a maximum of 4 people, with a price starting at $26,445. 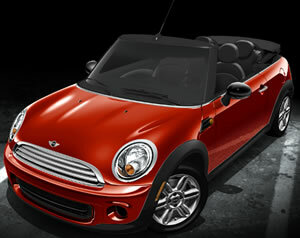 Running on Premium, the Cooper Convertible gets 27 MPG City, 35 Highway MPG, for a combined 30 MPG. The 2014 MINI Cooper Roadster is a softtop roadster, a convertible with 2 passenger doors and seating a maximum of 2 people, with a price starting at $26,845. Running on Premium, the Cooper Roadster gets 27 MPG City, 35 Highway MPG, for a combined 30 MPG. 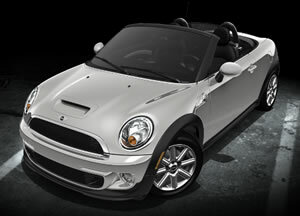 The 2014 MINI Cooper S Convertible is a softtop convertible with 2 passenger doors and seating a maximum of 4 people, with a price starting at $29,445. 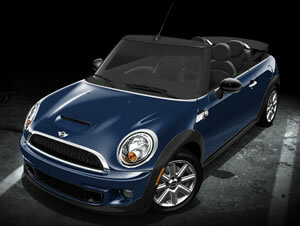 Running on Premium, the Cooper S Convertible gets 26 MPG City, 35 Highway MPG, for a combined 29 MPG. The 2014 MINI Cooper S Roadster is a softtop roadster, a convertible with 2 passenger doors and seating a maximum of 2 people, with a price starting at $29,845. 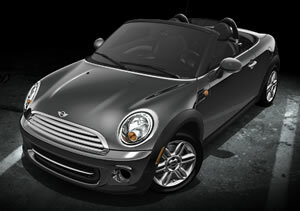 Running on Premium, the Cooper S Roadster gets 26 MPG City, 35 Highway MPG, for a combined 29 MPG. 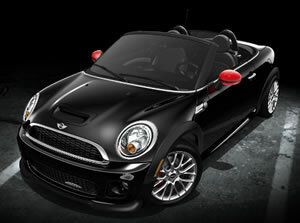 The 2014 MINI John Cooper Works Convertible is a softtop convertible with 2 passenger doors and seating a maximum of 4 people, with a price starting at $36,595. 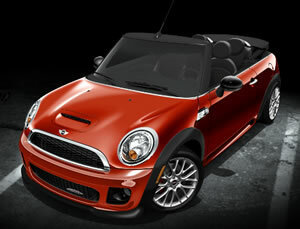 Running on Premium, the John Cooper Works Convertible gets 26 MPG City, 35 Highway MPG, for a combined 29 MPG. The 2014 MINI John Cooper Works Roadster is a softtop roadster, a convertible with 2 passenger doors and seating a maximum of 2 people, with a price starting at $36,995. Running on Premium, the John Cooper Works Roadster gets 26 MPG City, 35 Highway MPG, for a combined 29 MPG. The 2014 Nissan 370Z Roadster is a softtop roadster, a convertible with 2 passenger doors and seating a maximum of 2 people, with a price starting at $41,470. Running on Premium, the 370Z Roadster gets 18 MPG City, 25 Highway MPG, for a combined 21 MPG. The 2014 Nissan Murano CrossCabriolet is a softtop SUV, a convertible with 2 passenger doors and seating a maximum of 4 people, with a price starting at $41,995. The 2014 Porsche 918 Spyder is a targa top roadster, a convertible with 2 passenger doors and seating a maximum of 2 people, with a price starting at $845,000. The 2014 Volkswagen Beetle Convertible is a softtop convertible with 2 passenger doors and seating a maximum of 4 people, with a price starting at $25,170. Running on Regular, the Beetle Convertible gets 21 MPG City, 27 Highway MPG, for a combined 23 MPG. The 2014 Volkswagen Eos is a hardtop convertible with 2 passenger doors and seating a maximum of 4 people, with a price starting at $35,595. Running on Premium, the Eos gets 22 MPG City, 30 Highway MPG, for a combined 25 MPG.